Introduced in the mid-1800s, the Alexandra became the subject of intense debate. One writer called it "a grand killer of trout," and others called for it to be banned from trout streams. This may be a bit generous in its definitions, because it’s not likely that those ancient Mediterranean fishing lures would have been castable with what we would consider a normal fly rod. But Bark was right that the basic idea of a hook with a long feather, intended to imitate a fish, is among the most venerable of fishing devices. Everybody invented it. Perhaps because Americans have so successfully made streamers and bucktails our own and have used them for so many species of fish, we have assumed that we actually invented them. 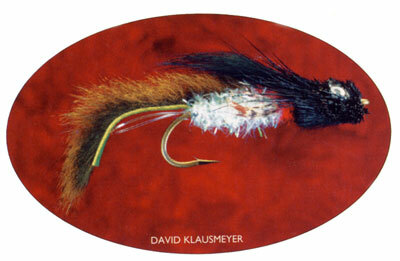 Several of fly fishing’s most prominent and admired commentators have said so. At first glance, this eager tendency to take credit for things might remind us of Thomas McGuane’s description of today’s fly-fishing scene as “an era when famous fishermen scramble to name flies and knots after themselves with a self-aggrandizing ardor unknown since the Borgia popes.” But, though streamer lore does contain its share of self-aggrandizement, most streamer pioneers really seem to have believed they’d just come up with something brand new. So we have a glut of candidates for the honor of inventing this terrific style of fly between about 1880 and 1910, including the outdoor writers Emerson Hough (Chicago) and Theodore Gordon (New York); fly tiers William Scripture (New York) and Herbert Welch (Maine); and a variety of lesser-known anglers such as Alonzo Stickney Bacon (Maine). Most of these people have modern champions promoting their candidacies with, well, ardor. There are no more entertaining opinions on the contentious issue of streamer paternity than those offered by the curmudgeonly twentieth-century American tackle manufacturer, George Leonard Herter. He is an especially appropriate person to hear from partly because he was notorious for taking excessive credit for things himself. Whatever we may think about Herter’s factual errors (the famous Dr. William Beaumont was at Mackinac Island from 1820 to 1825) and his wholesale bashing of well-respected historic fishermen, in this little diatribe he did describe one of the most plausible sources of inspiration for fly tiers — Native Americans routinely attached feathers and hair to hooks and other devices. Earlier Americans also preceded the famous streamer pioneers. In 1862, Robert Barnwell Roosevelt extolled the Scarlet Ibis fly as “a favorite with sea-going fish. A little tinsel wound round the body is supposed to improve its efficiency, as some fishermen suggest from a resemblance to the principal Winter food of the trout, the salt water minnow.” In this case, we could quibble over whether or not a tinsel-modified wet fly meets the most stringent definition of a “streamer,” with its elongated wing, but these guys were clearly using a feather-wing fly to imitate a small fish, so the distinction seems pretty obscure. I think we can safely assume that many other anglers, especially those fishing for large fish — whether in warm water or cold, fresh or salt — realized that their flies were imitating small fish. Whether they learned of them from Native Americans or just dreamed them up themselves, these anglers were streamer fishing, or bucktail fishing, without the fanfare that came later. But Is It Fly Fishing? We can see this strict definition of fly fishing most vividly displayed in the case of the Alexandra, a controversial wet fly with a long peacock-herl wing and silver body that was yet another British predecessor to America’s first baitfish imitations. The gifted British fly tier John Harrington Keene wrote in American Angler (no relation to the modern magazine) in 1885, that the Alexandra was “a grand killer of trout in Europe,” and that “in many waters its use is looked on as unsportsmanlike and is forbidden.” In 1892, Mary Orvis Marbury, the great American encyclopedist of the Victorian wet fly, wrote that the Alexandra “may not properly be called an artificial fly, being intended as a vague imitation of a minnow, and was originally recommended to be cast and played minnow fashion just below the surface of the water.” The Alexandra was obviously hot stuff. The Alexandra especially infuriated Frederic Halford, the British “high priest” of the dry fly, whose ranting against it in Dry-Fly Fishing (1886) was every bit the match for Herter’s most venomous outbursts. Halford called the Alexandra “a profanation” and “a dreadful scourge to any water.” According to Halford’s narrow definition of “the bona fide fly-fisherman,” the Alexandra was bad form all around. Streamers probably had a lot to do with the passing of such restrictive definitions of fly fishing, but each of us still gets to decide how we want to define the sport for ourselves. I decided long ago that I like streamers. “Invention” is a fragile concept in fly fishing. Hardly any idea is completely new. 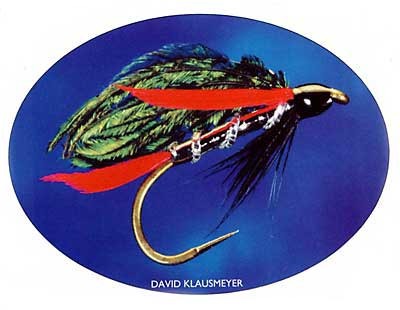 The bigger question to ask about all the supposed inventors of the streamer might be, which ones had the greatest reach among subsequent generations of anglers? It’s one thing to invent something, but it might be a more important thing to refine an old invention so successfully that the world notices.